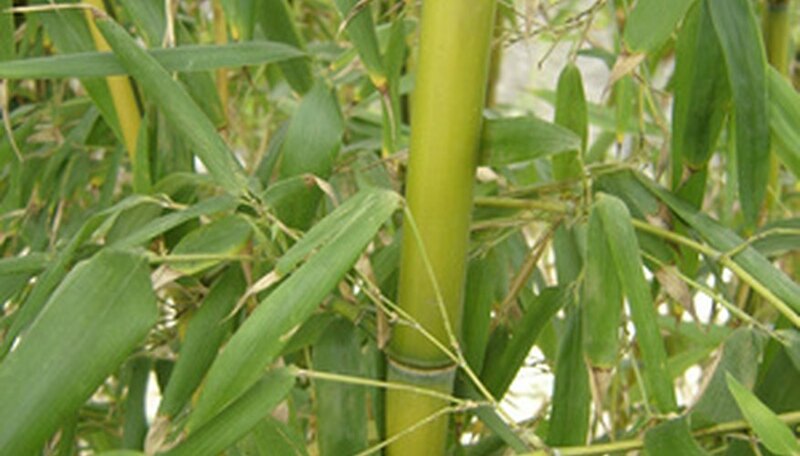 Bamboo poles are grown all over the world and are easy to access. If you do not have access to them, many craft supply stores and Asian-themed markets often stock them. Bamboo is tough, resistant to wear and weather and makes a great medium to work with when creating craft projects. Cut a piece of bamboo pole so that it is 12 to 18 inches in length. Choose a side of the piece and drill holes into it starting about 2 1/2 inches from the top of the piece. Drill holes all the way down the piece every 2 inches until you reach the bottom. Sand the area that you will blow with a fine sandpaper so that you will not get splinters when you blow into the flute. To make music, blow into the flute while placing your fingers over the holes in any pattern that you desire to create the perfect sound. This is an easy craft and is ideal for children.To create this project, you will need to cut your bamboo pole into four short pieces. Two pieces need to be three inches long and two pieces need to be five inches in length. Use a hot glue gun to glue the pieces together to form a square. Place the five-inch pieces on the top and bottom and the three-inch pieces on the sides of the project. Along the back of the frame, glue craft sticks to cover the entire back. Allow this to dry fully and then use double-side tape to adhere a photo to the crafts sticks inside of the bamboo pieces. This project has been a favorite of boys for a very long time. To create this project, you will need a bamboo pole that is 3 to 5 feet in length and 6 to 8 feet of waxed twine or fishing string. Tie off 3 inches of the string along the top of the bamboo pole and then wrap the string around the end of the pole and knot in place, allowing for plenty of line to be able to dangle in the water. You can use a wooden bead to create a bobber and a paperclip to create a hook. This craft can actually be useful in shallow streams or in creeks if you use a real hook and worm for bait.